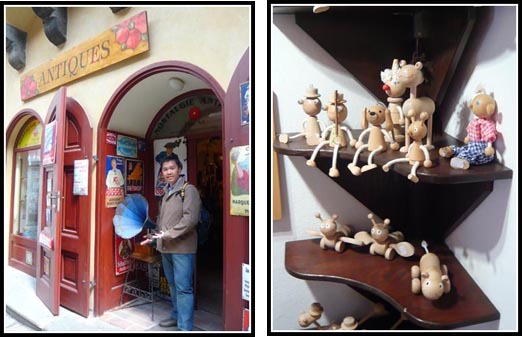 The town of Cesky Krumlov, being a big tourist attraction itself, is filled with souvenir shops selling all kinds of knick-knacks. Don’t worry if you had arrived from neighboring countries e.g. Austria and did not possess enough Czech koruny to shop and eat. Foreign exchange offices are everywhere in Cesky Krumlov; even the Tourist Info Office provides foreign exchange services at reasonable rates. For commission-free exchange rates better than the Tourist Info Office, try the exchange office (3rd Floor) in the building located just beside Museum Marionet. Do shop around for good rates but beware of misleading signages such as the one on the right. If you are changing Euros to Czech koruny, you want the Buy Price to be as big a number as possible (preferably >25 back in June 09). The big 27.25 (circled in red) listed here is misleading as it meant the Sell Price (not the Buy Price) and when you read the fine print at the bottom (in Czech), the rate is actually only 20.42 (circled in blue) if you are buying less than 30,000 CZK! Meaning if you changed your money here, you could be losing as much as €30 for every €100 you change (>30%!). Look out for such unscrupulous exchange offices. This one is just beside the Trdelník pastry shop. Now that the public scam announcement is done, let’s get to the shopping! 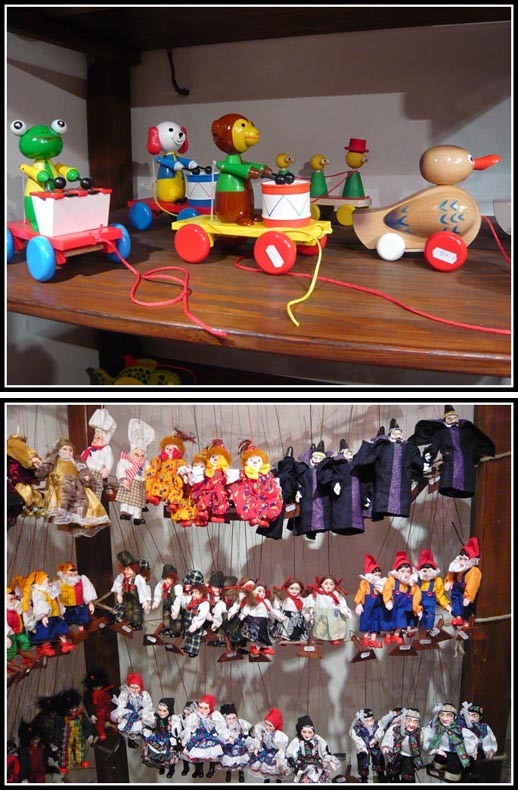 In Cesky Krumlov, you will be able to find all sorts of knick-knacks such as these handcrafted wooden toys and puppets. In Krakow, there are souvenirs of the town symbol – Smok Wawelski Dragon. 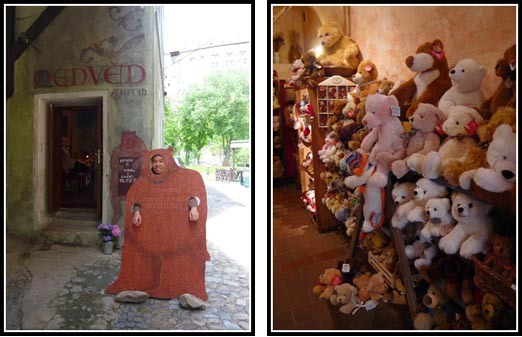 Here in Cesky Krumlov, there are also souvenirs of the Krumlov Bears from the castle. Check out the aggressive bear at the shopfront.. Grrr! Cesky Krumlov is famous for the production of rare gemstones (called moldavite) found almost exclusively in the regions of Bohemia and Moravia. 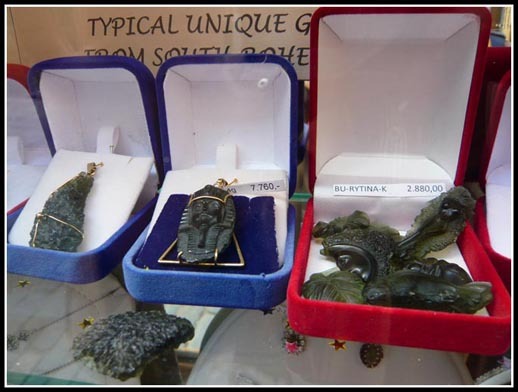 It was said that moldavite glass was formed 15 million years ago during the impact of a giant meteorite. Part of the rocks, melted by the impact, cooled while they were airborne and most fell in central Bohemia. This dull green stone is used to make stunning rings, necklaces and earrings. Amid all these souvenir, you can also get new Bata brand shoes from Cesky Krumlov. This might come as a surprise to Singaporean readers but Bata originated from Prague, Czech Republic. So its quite common to find Bata stores around Czech Republic. According to the girls, the price is about the same as it was sold in Singapore but there were more varieties. Yup, the souvenirs are nice and in fact cheaper than those in Prague. Except for the bear souvenirs most of the souvenirs sold in Cesky Krumlov could be found in Prague as well but at a higher price. Looks like an amazing place. The wooden toys look brilliant. It is nice to see some old school and hand made items. First of all im loving the little clowns lol. These mush have been made really well, its always nice to see that old traditional toys are still here. Great Read will be checking back soon! Great info Zhiqiang & Tingy. I really like your full insight of Shopping in Cesky Krumlov. 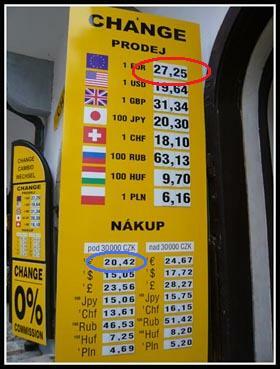 Thanks for the tip on currency exchange rate. I especially like on your visit to a toy store. I love toys such as Cookie My Playful Pup as it is fun and interactive puppy. It looks and behave almost like a real cute puppy.